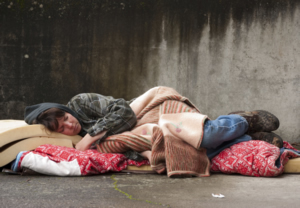 If you are homeless or at risk of becoming homeless and need advice and practical help on finding accommodation, emergency housing, shelters or day centres, or are looking for information and support on housing rights, benefits and other entitlements, then The Community Programme can put you in touch with the many and diverse services offering specialist advice and support on all homelessness related issues. This includes information for specific groups, including asylum seekers, refugees, gypsies and travellers and those who have come to the UK from other parts of the EU or EEA, or for individuals with specific circumstances, such as those fleeing domestic abuse, recently discharged from the armed forces or released from prison. The Community Programme will enable you to find the specific and specialist help that you need. Homelessness can lead to feelings of extreme loneliness and isolation and The Community Programme will help you to locate support groups in your area, where you can meet others similarly affected and find out how to access the practical help available near you.